Dragon Quest is a great example of what I like to think of as a “comfy game”. 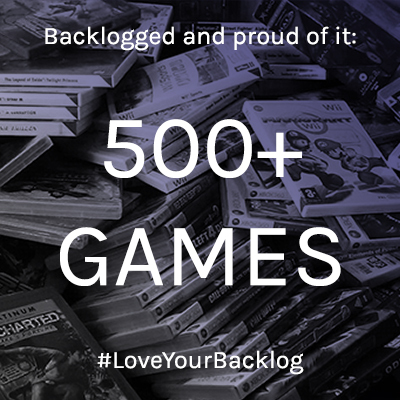 That is, the kind of game you can pick up and play, and immediately feel like you’re welcome in its world. There are certain series that do this very well. Gust’s Atelier games — particularly from the PS3 era onwards — are especially well-known for it, and my journey through Chapters of the Chosen on Nintendo DS is making me feel like Dragon Quest as a whole is very likely to be the same way. As controversial as it might be to say these days, I feel a big part of the pleasant atmosphere the later English versions succeed in creating is down to the efforts of the localisation team and how they made some significant changes to how the original scripts were presented. So let’s take a look at that aspect today. The original NES versions of Dragon Quest (or Dragon Warrior, as it was then known in the West) took a pretty standard approach to localisation for the time: take the Japanese script and translate it directly, make things like names and suchlike a bit more readable in English and then get it out of the door. There was little room for creativity or expanding on the original text — primarily because on those old cartridges, space was very much at a premium, and thus even the original Japanese text tended to keep things pretty short and snappy. 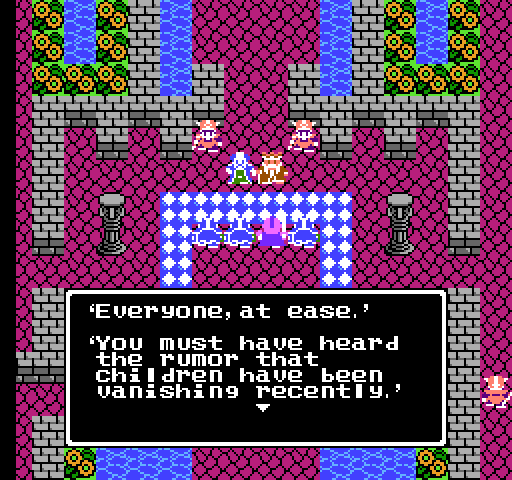 As such, the early Dragon Quest games tend to be fairly to-the-point; in the case of Chapters of the Chosen, the protagonists you play in the first four chapters don’t say a word until you encounter them as the “real” protagonist in the fifth chapter, and even then once they’re in your party they don’t have a whole lot to say for themselves. You’re not playing an early Dragon Quest game for in-depth character development and detailed intra-party interactions, though it’s testament to the good work of the writers (and, as we’ll discuss further in a moment, the localisers) that each of Chapters of the Chosen’s cast feels like a “person” in their own right rather than just a collection of stats. Sometimes less is more, it seems. So what happened between the original NES version of Chapters of the Chosen and the DS release I’ve been playing? Well, in the case of the Japanese version, not that much. As Clyde Mandelin of Legends of Localisation points out, the Japanese DS version of Chapters of the Chosen makes use of pretty standard Japanese for the most part; while it eschews the depiction of regional accents, it does make use of commonly accepted variations on “standard Japanese” to depict things like social status — royalty and their attendants make use of very formal, standardised language, for example, while a spoiled girl might use constructions such as watakushi instead of watashi to refer to herself in order to make herself appear “like a princess”. The kind of thing people who prefer subs over dubs will be well familiar with. In the West, however, there was a marked shift in how the localisation was handled that can be summed up quite simply as the games being translated into British English rather than US English. With that came a very significant new consideration: regional accents, and the depiction thereof in text. 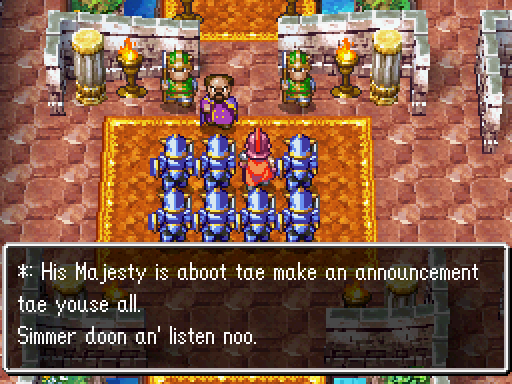 The decision to make Dragon Quest distinctly “British” actually came about prior to the 2005/2006 Western releases of Dragon Quest VIII, a game which was regarded as something of a “reboot” of the series in North America… and the first time Europeans would be able to engage with it in an official capacity. 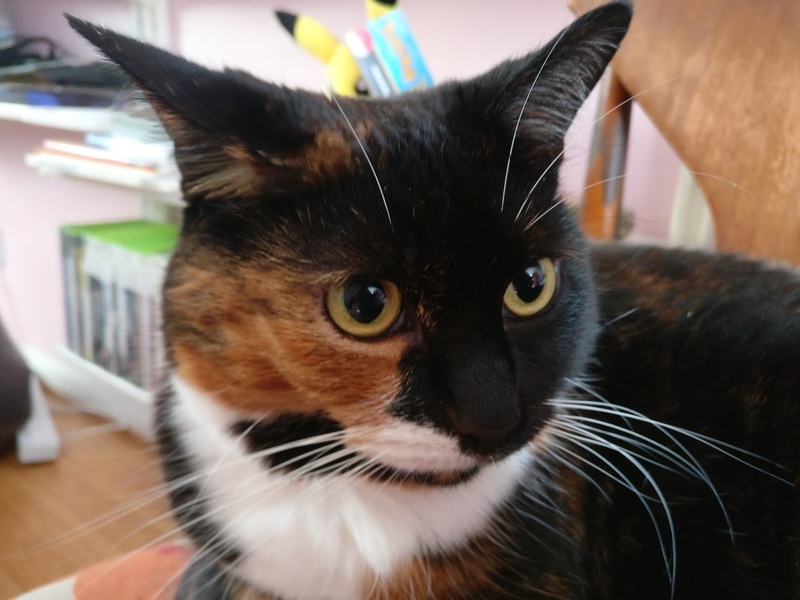 Dragon Quest VIII was regarded as the time that Dragon Warrior officially became Dragon Quest in the West, and with that change came both a new way of thinking and a new localisation team. 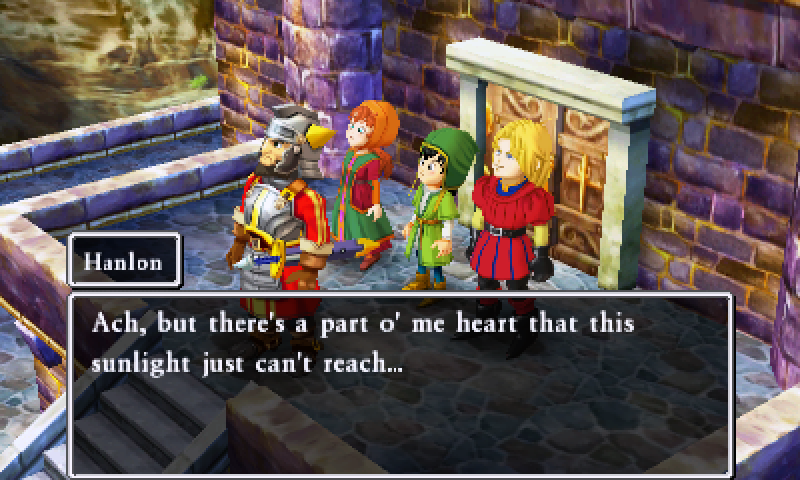 Speaking with Nintendo in 2016 prior to the 3DS rerelease (and re-localisation) of Dragon Quest VII, Oli Chance of British localisation team Shloc Ltd. noted that there was a conscious decision to “draw a line under the Dragon Quest games localised before that point and to take a new approach for the ones that came thereafter, including the remakes of titles that had been localised previously. Chance noted that despite this being a pretty significant change in how the localisation was handled, the team’s “general rule is to change nothing for the sake of changing it, but only when doing so can be argued to be an improvement — and believe us when we say that those arguments are invariably passionate and… lengthy.” He also noted that the localisations from Dragon Quest VIII onwards were based on the original Japanese scripts rather than any pre-existing localisations for the Dragon Warrior releases in the West; this was a full-on retranslation rather than a rewrite of the existing work, though he did also note that they “add Dragon Warrior nods and other such embellishments afterwards”. 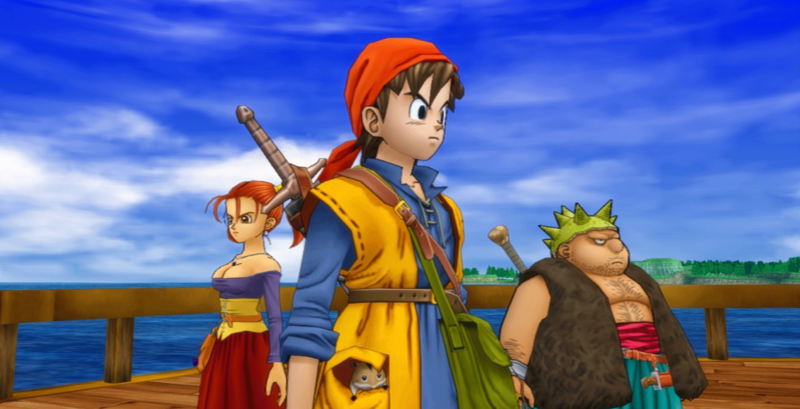 Interestingly, Dragon Quest VIII’s original localisation appears to be received positively by the gaming community at large, though part of this may be down to the fact that in 2005 social media was still in its infancy and thus people were still very new to the idea of being Mad Online about things like this. 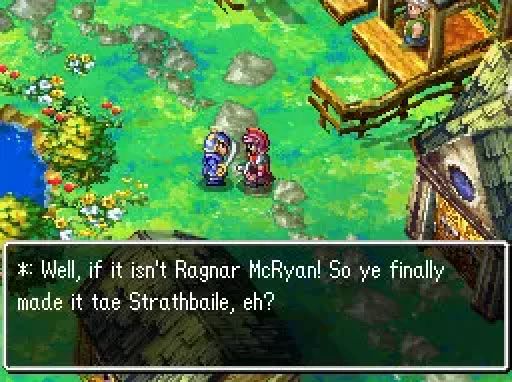 The DS version of Chapters of the Chosen, meanwhile, drew a certain amount of… well, confusion more than anything, as a number of people clearly new to the series were immediately confronted by a textual recreation of an extremely strong Scottish brogue as Ragnar McRyan’s first chapter got underway. As you might expect, much of this confusion stemmed from those who weren’t native speakers of British English specifically — which means both English speakers from North America and Europeans with a non-English mother tongue found themselves equally baffled having to come to terms with some distinctly non-standard variations on words and even grammatical structures as the game progressed through its various, diversely accented regions. Of particular note in the latter regard is the second chapter, which unfolds in the region of Zamoksva. As you might be able to predict from the name, Zamoksva was interpreted by Chance and his team to have a distinctly Russian-inspired dialect, making use of deliberately clumsy but still understandable sentence structures in a similar fashion to Sacha Baron Cohen’s comedic creation Borat. So now we were getting a British localisation team’s exaggerated, comedic interpretation of Russian people speaking English. Thing is… it works so well. Alena’s clipped, ungrammatical delivery emphasises her tomboyish nature, and while it may not be politically correct to laugh at the way “foreigners” speak, there’s little denying the comedy value of the scene in which she notes that “door is locked” before kicking it so hard it shatters into rubble, then proudly stating “door is no longer locked”. The cumulative effect of all these regional accents and comedic takes on “how foreigners speak” is that Chapters of the Chosen comes across as something that doesn’t take itself completely seriously. Rather than this affecting the experience negatively, however, it feels very much in keeping with the original intentions of the Japanese version. You just have to look at the monster designs to recognise that this was never intended to be a super-serious fantasy epic, regardless of language. This isn’t to say that Chapters of the Chosen doesn’t know when or how to turn on the drama, of course; it’s simply that “drama” isn’t its default state. In some ways, it almost feels like an inverse of what Final Fantasy has shaped itself to be over the years — (melo)drama with a side of levity or outright comedy at sometimes surprising times — and that, for me, has been a big part of what has made Chapters of the Chosen feel so “comfy” to play so far. It’s thoroughly pleasant to play a game where the default mood is “happy” — and if you’re feeling a bit down, I can highly recommend the experience! I am so glad you are playing through this. I had dabbled with the original “Dragon Warrior” when I was 7 and was scared off from the complexities of RPGs until I eventually returned and fell in love with FF2(4) on the SNES, and then I was sold for life. DQ4 was my first game on my first handheld and I was immediately charmed. I have played through all the rest and can’t WAIT for DQXI. What I love about DQ4’s “chapter format” is the sense of slight disorientation that occurs with each new area from adapting to the new cadence/jargon of each new region. You adapt to the language as you adapt to the new characters and play mechanics in a way that is immensely satisfying. As much as you are enjoying this, I am REALLY anticipating your take on DQ5, my personal favorite, by far. 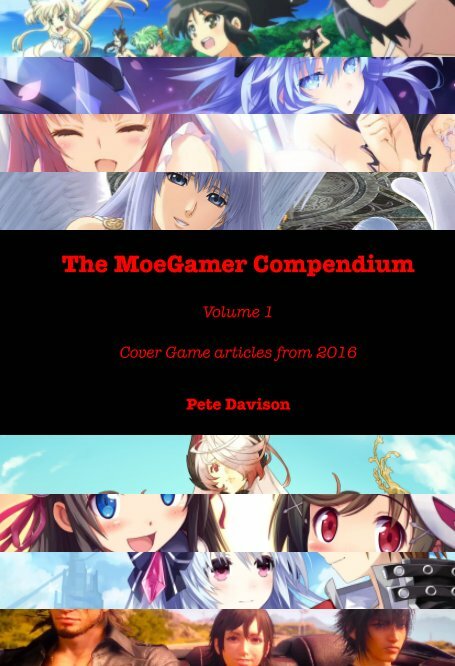 Arte Piazza really did a lovely job converting all these titles and hope the game continues to charm you. Cheers!